Company/Brand Claim: Our first broken heart-shaped brush creates a fringe of big, curvy, rockin’ lashes. This cleverly-shaped applicator twists and curves to hug the lash line; the thin tip grabs hard-to-reach inner lashes, while the amplified base pulses lashes with incredible volume and curve. Lashes are plumped and lifted in one clean stroke. Result: It's about time I'm getting back to mascaras and actually enjoying it. The Rimmel Rockin' Curves Mascara has the innovative heart broken wand which claims to add loads of volume and unimaginable curves to the lashes. Well, to start with, I love the fact that it doesn't clump the lashes at all. So that claim is fulfilled. It is packaged in a chubby red tube with snake print and white text. I love it. 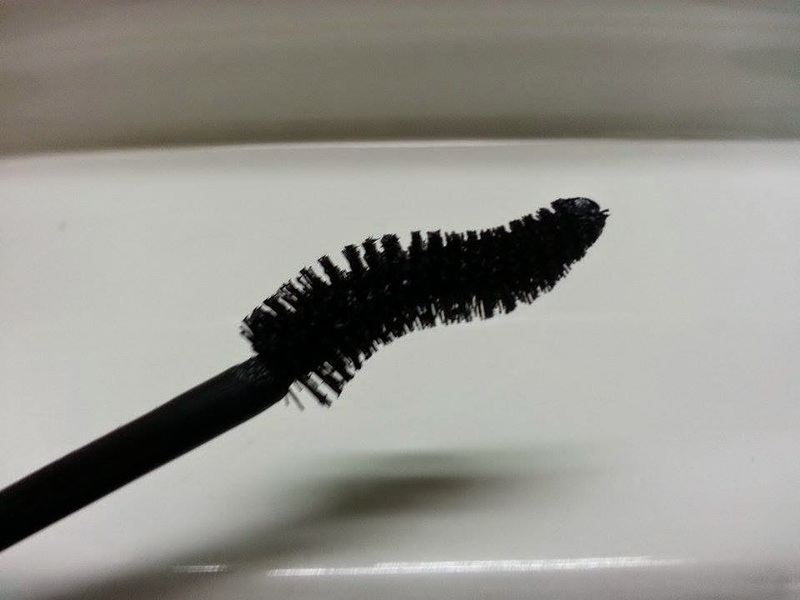 It is a solid black color and feels cream like on the lashes. As for the volume, yes it does add volume to the lashes and there's a visible before and after difference. But as for the curves, I wouldn't say they were sky high. The wand has a thin tip which is suppose to cover the inner lashes, but it took me a while to get used to that because it tends to stain the lash line a bit. As for the other end which is quite thick, it covers the lashes beautifully and evenly spreads on the product. I start from the center of the lashes and move it into the corners. My lashes were all good for 6 hours straight. After that they gradually come back to their original lift. I didn't experience any clumps or irritation and it wouldn't gotten an extra point if it were waterproof. It smells awful though. Rimmel should really look into this. Rimmel Scandal Eyes Rockin' Curves Mascara comes in 3 shades, all of which are black based and the tube consists of 12 ml of the product. 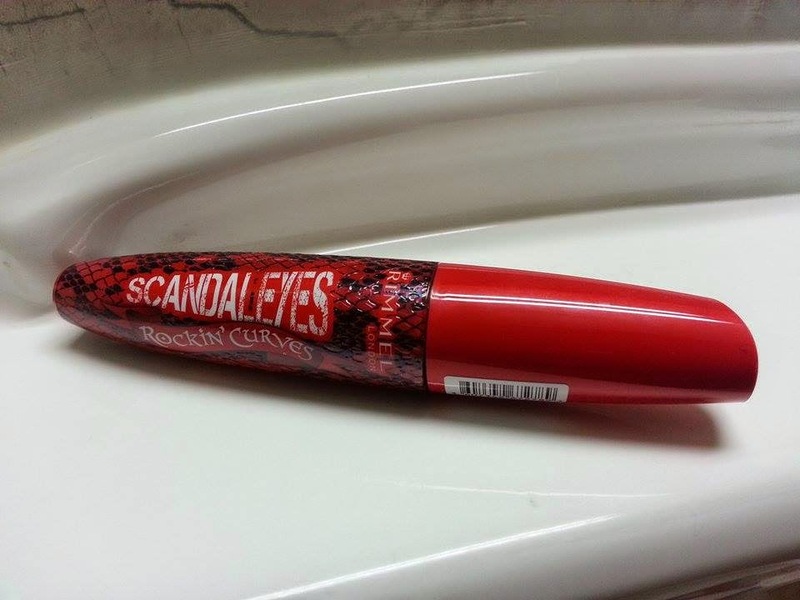 Pakistan: You may find it at Rimmel counters in major stores across Pakistan. Unfortunately it is not available online as of yet. International:- Target, Walgreens and Super Drug. Conclusion: Overall I'm happy with this product. It surely didn't break my heart. I can use it everyday without having to worry about a massive lash mess. Recommended? Yes! 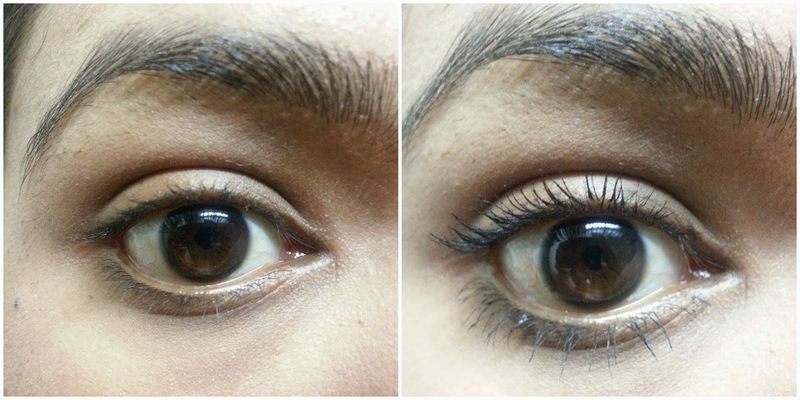 Rimmel Scandal Eyes Rockin' Curves Mascara 001 Black Before and After. I'm pleased with it :D and the clump free look is such a relief. Looks like a good mascara from the results only if it would have been waterproot, not to ignore the unpleasant smell. Thanku momina :) yeh i too wish it was waterproof. I believe this one is a recent launch. It might take a while to come to pakistan. Thanku anna :) i'm glad u liked it. looks pretty good, i've never tried any of their mascaras!